Getting Started - Understanding the Value of Your School. Welcome to the first installment of our new blog series, 8 Hacks to Increase Enrollment. There is no question that a thriving community of students and families is necessary to creating and maintaining a dynamic learning environment. Healthy, growing enrollment has a direct, compounding effect on the level of services schools are able to provide their community. As enrollment declines or remains stagnant, revenue constraints can quickly lead to difficult decisions into which areas might receive continued funding and which areas might require a reduction or elimination of programs. This can make it very difficult for schools to confidently highlight their programs and remain competitive amongst other education options. In this series, we will highlight key areas of focus for school leaders who are frequently tasked with multiple responsibilities and little remaining bandwidth to navigate the nuances of competitive, necessary marketing programs. With this level of focus we aim to make optimal use of our readers limited, valuable time and provide practical, actionable resources to enhance your enrollment efforts. In part 1 of this 8 part series, we will outline the foundational aspects of successful planning and execution, specifically two items: Gaining clarity into the aspects of your school that resonate the most with your community and thus deliver the most value. And how to build a high powered marketing team that contributes to highlighting these strengths and demonstrating the value to prospective and current families. Possibly, the most important part of marketing planning is brainstorming the strengths and weaknesses of your school. It provides great opportunity so slow down from operational responsibilities and reflect on exactly what makes your school so wonderful and why people should be excited to dive deeper into all it has to offer as well as identify areas of improvement that may hinder prospective parents from applying or retention of current families. With that said, visitors to your school are likely evaluating other schools and programs and are rightfully focused on the similarities to ensure the core needs of their children are effectively met. It is both in your interest and to their benefit that you can communicate a clear understanding of what separates your school from others. Success in this area establishes a high degree of confidence in the services of your school and a strong sense of excitement that your school will offer a unique, premium experience. Now that your list is well developed, prioritize the strengths and weaknesses and dedicate time to examine them from the perspective of both a prospective and a current family. Identify the top features that you feel would resonate most with the people who come through your doors. Along those same lines, determine which features would be best to highlight in promotional efforts as well as how you might create an environment or event that would allow people to experience these special features first hand. 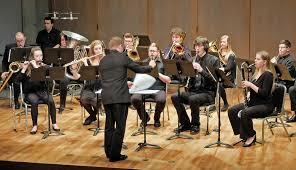 Perhaps you might host an open house where prospective students can bring their own instruments and perform with the music instructor. You might position your longest tenured teachers to engage with visitors and share their unique perspective from years of service. You may choose to showcase your unique use of technology that demonstrates credibility and maturity of your operation compared to other schools that might rely on paper processes and clunky communications efforts. As you can see, there are opportunities to get creative. Identifying the features that bring value and that you are excited to share will greatly assist you building momentum to execute your marketing efforts. While discovering which items will resonate most with visitors is key, don’t neglect the importance of the remaining items on your original list. The full list will serve you well as you engage in deeper relevant discussions with prospective families looking for features that set your school apart. 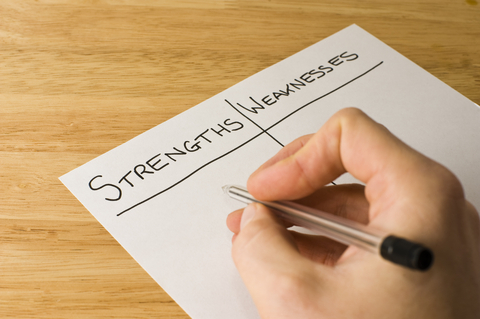 As you reflect on your identified weaknesses, be sure to critically analyze any weaknesses that might be immediately noticeable to families. In your marketing efforts, you will establish a number of processes and pathways to both inform people and collect information on their interests, including student registration and application data. Shortcomings in these key processes are highly visible. As such, employing credible, professional level data capture and mobilization processes will immediately inform visitors on the professionalism of your operation and your attention to critical details. We’ve touched on the notion that the competing responsibilities of school leaders face can easily restrict school marketing and enrollment growth efforts. For that reason, leaders must embrace the notion that it cannot be done by one person. Key duties must be delegated to competent, energetic staff and/or volunteers to really form a team effort. There are 4 areas of focus to consider when matching the skills of your staff to the most appropriate role. We will review each of these areas in more depth throughout this series however, in the team building stage, it’s important to have a clear understanding of the basic functions of each role. Hosting events that draw visitors is the lifeblood of an effective marketing effort. On it’s own, this is a very large responsibility which often requires its own team, under the direction of your event planner to execute. Responsibilities of this role cover all aspects of showcasing your school including, room reservation, decor, catering, organizing entertainment or areas of focus, equipment needs, and coordinating speakers among a variety of other duties. 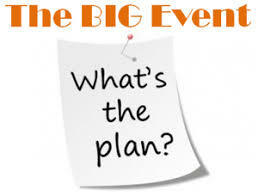 Event planners are positioned to proactively handle issues and troubleshoot problems that might arise on event days. In order to succeed in drawing foot traffic and getting the most out of your events, a well developed communications in necessary to ensure people are aware and informed. Your communications manager will identify and manage the available channels as well as channels you might want to add. Common channels include flyers, website, email, social, media, paid advertising, community groups, and more. As you begin to communicate your events and encourage participation, you will want to decide on the most appropriate way to collect information about people visiting your school. Having a record of who intends to visit is critical to meaningful follow ups. It is highly recommended that technology be incorporated into your data collection efforts. Using online registration or data captures systems prior to an event or even ipads or tablets that are connected to a reputable system on-site at events gives people a first hand impression of the sophistication level of your school. Using technology in data collection provides great opportunity to showcase the professionalism and credibility of your school as well as collect meaningful information on your visitors. Your data manager is someone who is comfortable working with data and data platforms and will work very closely with the communications manager to ensure potential visitors have a clear path the registration and identifying interests. With your best assets identified, a plan to mitigate known weaknesses, and your team positioned to their appropriate skill set, you are now prepared to develop the details of your marketing efforts with excitement, confidence and momentum. As we proceed in this series, next we will review the key elements of understanding your target audience and designing an effective promotion plan to reach that audience. Our next edition in the series is entitled, "Know your Audience Part 1 - External Promotion". We would love to hear from you as to what aspects of promotion you find most challenging or interesting. Please complete the brief survey. Your input will be incorporated in our next series installment! If you've liked our content, please share this post with your fellow colleagues!